One of my very favorite things to do is to join my father and our WWII P47 pilot friend, Bill, at the Tennessee Museum of Aviation http://www.tnairmuseum.com/ in Sevierville, Tenn. It’s a great museum displaying items from World War II, along with a hanger full of airplanes from different eras. The airshows, however, are what make the place great because people gather around veterans and listen to war stories – or just stories in general about what it was like to serve their country. It’s similar to walking into any given pub in Ireland and getting to listen to wonderful, spur-of-the-moment music by the locals who just happen to have brought their instruments along with them. These stories are little jewels you will never read about in history books. These are gifts. They are real stories told by the people who lived them. 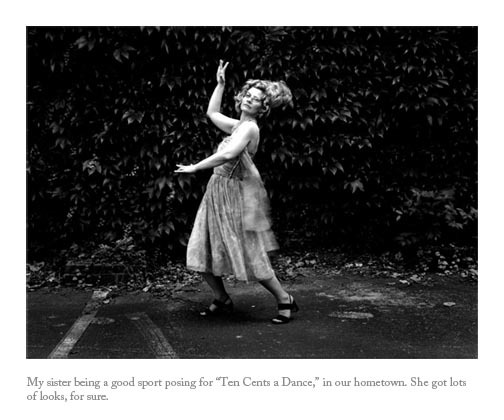 My two very favorite photographers – of all time – are Diane Arbus and Sally Mann. Hands down. No hesitation. They just switch places from 1st and 2nd in my heart periodically, depending on my mood. I mention Grace Kelly, not for her photographic skills, but simply because she’s another female I greatly admire. Oh! And I’d love to look like her. But who wouldn’t? The word ‘photography’ literally means “writing with light.” What better subject then is there for a creative blog? I’ve always loved photography and I enjoy writing! So, here we go. The first and second photos I ever took both had a profound impact on me. It did something to me when I composed the subject in the viewfinder and then pushed down the button to take the picture. Of course, back in the early 70s, we had to wait to use up the roll of film…..which took forever because you did not want to squander your precious frames….but then we had to take them to the drugstore to have them sent away for processing and printing. An excruciating week or two later, we went back to pick up our packet of photos. It was like magic! 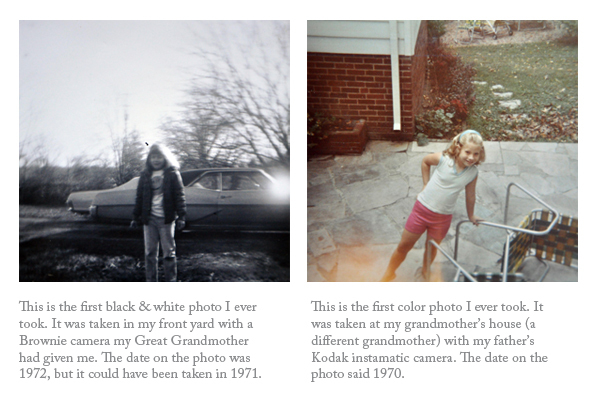 Time travel in little snapshots. I LOVED it.